Self Pollinate is an artistic expression of soul and heart by Janelle Amos. Janelle began her 'play dates' with nature last year, mindfully exploring her garden with an open heart full of creativity. The result, an exquisite body of organic art that draws you into the present moment. 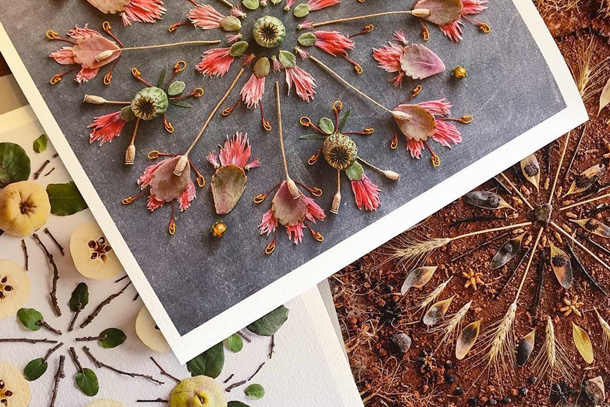 Each Mandala or nature creation has a slight imperfect quirkiness to it, kind of 'bare boned' and 'baring all' so to speak – reflective of the creative process as Janelle finds and combines the twigs, berries and leaves one by one. 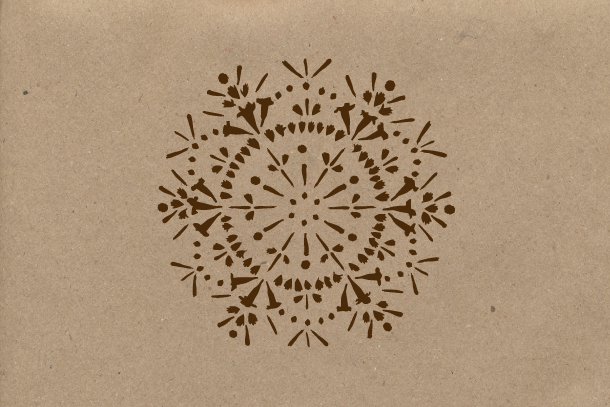 The brief was to reproduce the Self Pollinate and Mandala photographs into a single colour silhouette logo to use on cards, prints, packaging, inkstamps and as an image watermark. Brown was chosen to tie in with the natural and organic elements of Janelle's work.